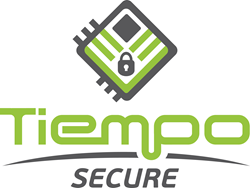 Tiempo Secure is the only independent semiconductor developer to have obtained both the Common Criteria EAL 5+ certificate and the EMVCo certification, demonstrating the security and robustness achieved by its patented asynchronous platform. Serge Maginot, CEO of Tiempo, declares: “As an independent semiconductor developer, we are proud to have received these two certifications that demonstrate the validity and robustness of our technology to achieve a better speed performance." Tiempo Secure, a semi-conductor specialist focusing on high-end secure products, has obtained both Common Criteria EAL 5+ and EMV certifications for its TESIC-SC-500-02 dual interface secure microcontroller. The TESIC-SC-500-02, a member of the TESIC-SC family, is a dual interface chip, designed to fit the specific requirements of high-end smart card applications such as EMV high-end banking, e-Government, open-loop transport and multi-application cards. Its 500 kBytes of high-endurance Flash memory ensure enough space is available to application developers for the most demanding applications and for multiplication usage. The TESIC-SC series includes Tiempo’s boot loader 2.0 that is compliant to the Common Criteria Protection Profile 0084 Package 2, bringing therefore a greater flexibility in operating system and applet downloading for smart card manufacturers. According to PP-0084 Package 2 specifications, Tiempo’s boot loader allows to load the operating system and applets in the chip in a secure manner, by authorized users only, but without requesting to be in a secure environment, whereas Package 1 allows to load the operating system and applets in the chip in a secure environment only. TESIC-SC chips are built around Tiempo’s patented asynchronous design technology. Because Tiempo’s chips are clockless, they are able to run faster and are more robust in contactless mode than classical clock-based chips as they adapt permanently and straightforwardly their execution speed to the strength of RF communication. This way they ensure a significantly faster execution, thus bringing to software developers the ability to integrate additional security features. Their robustness is proven by their ability to complete a transaction even in situations where the electromagnetic field generated by the reader is not optimal, therefore reducing dramatically the number of dropped transaction issues. Tiempo Secure obtained the Common Criteria EAL5+ certification for its microcontroller TESIC-SC-500-02 revision 2.0.1 in conformity with Protection Profile 0084. Tiempo Secure obtained the EMVCo Product Approval (IC) for its microcontroller TESIC-SC-500-02 revision 2.0.1 with TESIC-SC-500-02 CryptoLibrary V1.4.2. Tiempo Secure TESIC-SC is currently available as samples for smart card vendors to develop, port and test their operating systems and application software. It will be available as mass-production from early 2017.